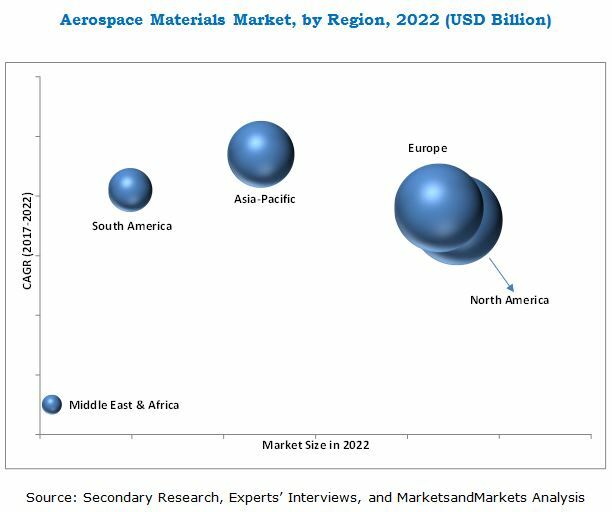 [151 Pages Report] The Aerospace Materials Market is projected to reach USD 25.80 Billion by 2022, at a CAGR of 6.9% from 2017 to 2022. In this study, 2016 has been considered as the base year, and the forecast period is from 2017 to 2022. The growing demand for aerospace materials in Asia-Pacific, Europe, and North America, coupled with its increasing applications in the new generation aircraft and rising environmental concerns are expected to drive the aerospace materials market. These segments are further described in detail with their subsegments in the report, with value and volume forecast till 2022. Based on type, the aluminum alloys segment is expected to lead the aerospace materials market during the forecast period. Increasing demand from aircraft production industry is resulting to an increase in the consumption of aerospace materials globally. The share of aluminum alloys in the aerospace materials is expected to decline in future owing to the increasing use of composite materials. However, high-strength and low fatigue aluminum alloys will continue to be the important aerospace materials for the aircraft industry. Based on aircraft type, the commercial aircraft segment is projected to lead the aerospace materials market from 2017 to 2022. Increasing passenger transport, coupled with an increase in demand for commercial aircraft is expected to propel the aerospace materials market for the commercial aircraft segment during the forecast period. Though the aerospace materials market is growing at a significant rate, few factors hinder the growth of the market globally. The global defense expenditure is declining due to defense budget reductions by key defense spending nations. The declaration of the reduction in the defense spending till 2022 by the U.S. government has impacted the global defense equipment manufacturer’s market; especially the military aircraft manufactures market, which will further impact the aerospace materials market. Companies such as Toray Industries, Inc. (Japan), Alcoa Corporation (U.S.), Cytec Solvay Group (Belgium), Du Pont (U.S.), Teijin Limited (Japan), ATI Metals (U.S.), and Constellium N.V. (Netherlands) are the leading players in the aerospace materials market. 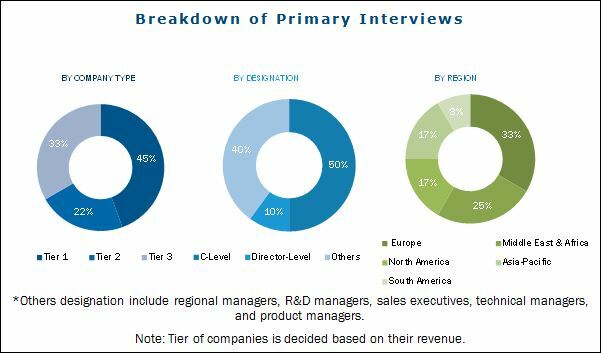 These companies have adopted various organic and inorganic growth strategies such as expansions, mergers & acquisitions, and new product developments to enhance their market shares.